Growing older happens to all of us. Combating the effect of aging needs to be done intelligently and gently. As we age laugh lines appear and our skin accumulates our history told threw our wrinkles. Although we garner wisdom along the way which we are proud of, we still want to retain our youthful looks. There are many methods today to help combat wrinkles to achieve a smoother and a more youthful appearance. Methods involving injections and plastic surgery are not only costly but invasive, take time to heal and are quite unpleasant. The results aren’t always worth it. You can avoid all this discomfort using the Tripollar Stop in the privacy of your home and achieve fantastic results. Tripollar Stop uses cutting edge technology. Radio frequency technology radiates heat warming the layers near the surface of the skin while stimulating the production of collagen. As we near forty and above our body starts producing less collagen which becomes noticeable when we develop wrinkles and loser skin. Using the TriPollar Stop, which is specifically designed for the face, neck and hands can help reverse this process resulting in less noticeable wrinkles and firmer skin. It’s simple and comfortable to use. After cleaning and drying your skin, apply some preparation gel evenly over the area being treated, plug in the TriPollar Stop, and wait for the green light to appear. Making sure the head is in full contact with your skin move in small circular motions until the orange light appears which indicates it’s time to move on to the adjoining area. Repeat these steps until you have finished the area in which you are treating. It’s recommended to start on the lowest heat setting and work your way up. After finishing, clean the gel off and rub in some TriPollar Stop After-Treatment Cream. Gently clean the head of the machine and replace it in its base until the next time. The overall treatment should take ten to fifteen minutes and the effects are noticeable immediately. The Tripollar Stop is an innovative device helping you age more gracefully with less wrinkles, smoother skin and an overall younger appearance. It is inexpensive compared to traveling to clinics or and safer than having more invasive and complicated procedures done. It is professionally approved and tested, using it safely in your own home you will feel rejuvenated and imbued with a new youthful appearance. This entry was posted in Anti Aging, Skin Care, Skin Care Products and tagged tripollar stop, wrinkles on December 17, 2013 by admin. Although turning back the clock on the aging process isn’t possible obtaining youthful skin in the comfort of your own home is attainable. Using the Tripollar Stop skincare device after a short period of time will enhance your skin tone, diminish deep wrinkles and improve how your skin feels. It regenerates collagen up to fifty percent which is what gives elasticity to your skinand makes it look youthful. Looking in the mirror you will notice improvement in your appearance with diminished wrinkles and fine lines helping to reverse the signs of aging skin. After a short period of a few weeks with regular use the Tripollar Stop produces long lasting effects. 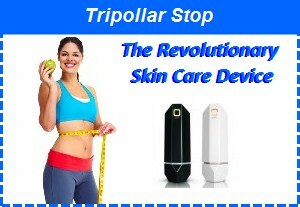 The Tripollar Stop device is meant to be used on your face, neck and hands helping them feel rejuvenated and refreshed. While counteracting the deterioration of your skin cells, which happens over time while we age, the tripollar Stop works on the surface layers of the skin, stimulating the production of collagen, resulting in firmer skin and a more a youthful appearance. It is easy to operate, just plug in the device, setting it on your preferred heat setting, low, medium, or high, using it when the ready light indicator goes on. Since there is an internal thermostat which regulates the heat there is no need to worry about burns. Put a small amount of the preparation gel on the head of the device before touching the skin. The gel protects the skin and ensures an even distribution of energy into the skin’s deeper layers and allows the Stop device to effectively warm specific areas to encourage the production of collagen. Use Small circular motions for approximately one minute in one area then gently move on to a different area still using a circular motion go over the whole area of your face, neck or hands. It is important to keep The Tripollar Stop in a circular motion until your treatment is finished. Then apply STOP After Treatment Cream which enriches your skin with the required nutrients and minerals that optimize long term results. The treatment takes approximately twenty minutes, two to three times a week. 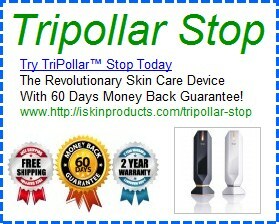 You will feel as if you are giving yourself a warm relaxing massage, another wonderful benefit from the Tripollar Stop skincare device. In the package you receive you will find an Instructional video and a TriPollar Stop Quick Reference Guide to refer to. The STOP has a two year warranty, so you can feel secure in your purchase. The investment in this device pays for itself in no time at all while you achieve professional results in the comfort of your own home. This entry was posted in Skin Care, Skin Care Products and tagged anti aging, cellulite, tripollar stop, wrinkles on October 27, 2013 by admin.